We're frequently setting up servers for development, for staging, for production. I've lately preferred the Debian flavor of Linux, but up until now that had been something of a problem because Debian and Ubuntu did not include the higher-quality php5-gd library, which meant that you either had to compile your own PHP, pull from an alternative source host, or cope with substandard image resizing with limited processing features. Still, there's a lot of little steps to set up to get your server (or virtual private server) up and running and ready for Drupal. It's not hard, just detail-oriented work you don't want to do when you're bleary-eyed at the end of the day. In my repetitions of doing this over and over, I've collected some notes, and I thought I'd post them here for my own reference, and perhaps your reference as well. My thanks to our own Brian Vuyk for guidance on the APC installation. Drupal requires some things, and likes some other things a lot. Here's how to configure the latest Ubuntu Linux to make Drupal happy. 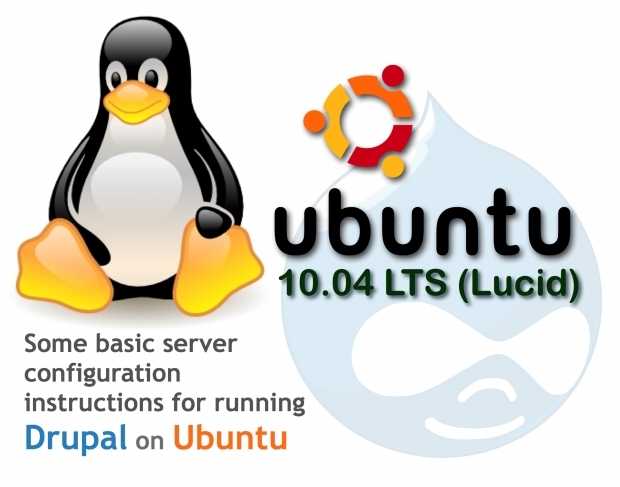 You already have Ubuntu 10.4 installed on your server. You know your server's IP address. You already have root or sudo access. If you do this, you can connect to your server without having to log in. It's also necessary if you want to deploy from a provisioning system or repository like GitHub. ssh-keygen -t rsa -C "yourname@example.com"
Note: For deployment purposes, you need to generate the key as the user who will be executing the checkouts. For example, if you checkout as root, you will need to be logged in as root when generating the key. Note that if you are using a regular shell user account with sudo, you will want to prepend pretty much all commands in this guide with "sudo". For example: sudo apt-get update would be the first command above. Next, edit the file "/etc/hosts". There are a few options for text editor within Linux. I find nano to be easy to use. You will get pop-up prompts for country, etc. and that's done! You will also want to update the DocumentRoot value to where you intend to install your Drupal root. for each of your sites on the server. Repeat this process for each site you are setting up. Note that separate sites will have different DocumentRoot values, while a multisite setup will share the same DocumentRoot value. Git note: If you are going to deploy using Git (covered in the next step below), you want to define your DocumentRoot to include your Git repository name and any internal paths to your Drupal document root. For example, if you are installing from a GitHub project titled "foobar" and inside of it you have a folder "html" that contains your Drupal installation, your DocumentRoot value would be /var/www/example.com/foobar/html/. First, create the folder for your logs. This command will create your logs folder, and the domain folder containing it. 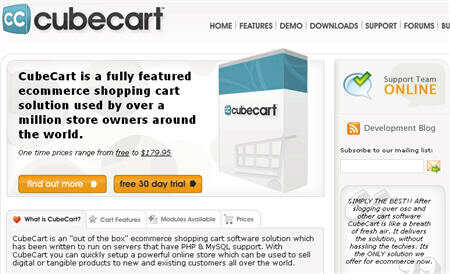 Now create your website html folder(s). How you do this depends upon how you're going to install your site on the server. If you are using scp or sftp or otherwise copying your Drupal code files onto the server, you will want to create the folder to hold them. Remember that your DocumentRoot value you entered above must match where your actual document root ends up being on the server. If you are going to be deploying via Git, you don't need to do that: Git will create it when you git clone the repository onto the server into /var/www/example.com/. Do this command for each domain or subdomain you're configuring here. Assuming that you have configured the DNS for your domain to point to your server's IP address, virtual hosting for your domain should now work. You will be prompted to create the MySQL root password, and re-enter it. Now we secure the installation. You will be prompted to set/change the MySQL root password and other things. You won't need to change the MySQL root password, but you probably want to answer "Y" yes to the other questions. Note the ';' at the end of the line. That is required for MySQL to execute the command. Use apt-get to pull down the packages. Note that php5-dev is not necessarily required, except you will need it later for the PECL installation of UploadProgress (which is very nice to have for the Drupal user interface). php5-gd is to enable nice image handling. This is a big file. You will need to search through the file to find these value configurations. You will want to boost the default memory limit value. Now, while you in php.ini, make sure that the following lines are uncommented and have proper values established. Refer to http://drupal.org/requirements for details and nuances on php settings. To have these take effect, restart apache. Update what you have so far. Now install the php5-suhosin package to provide additional security. This allows you to have that nifty upload progress display when uploading files. It's not required, but is useful user feedback, which I recommend highly. Run the PECL installation of UploadProgress. Note: This is all one line! Reload Apache to have it take effect. If you want to use Git to deploy your site code, you will need to install Git itself. Drush installation instructions are in the Drush readme.txt file. Note that the path of the destination is your webroot. Fail2ban is a nice little security addition. Bash-completion is a new one for me, and is turning out to be very handy. How did I go so long in the dark? And that's it. Now your system is ready for site deployment to the folder you defined. Note that after you've deployed your site you will also want to set up a cron job. I am not a sysadmin by profession. This is just documentation of what I do for my own projects, or when tossing up a staging server for one of our in-house or client projects. Any tips for improvement, corrections, etc. are most welcome. A few lines down, under the directory pointing to you docroot, you need to change "AllowOverride None" to "AllowOverride all". And you're done. Clean urls should work for you now. For more information on this, see http://drupal.org/node/945860. To read about other ways to configure Apache and avoid the performance hit of using .htaccess, see http://drupal.org/node/43788. Thương mại điện tử ở Việt Nam đang ngày càng phát triển và kinh doanh qua mạng đang trở nên hot hơn bất cứ lúc nào. Vì vậy, việc xây dựng cho riêng mình 1 website bán hàng trực tuyến là nhu cầu của rất nhiều người. Dưới đây là một số phần mềm miễn phí (Opensource PHP E-Commerce) và được nhiều người sử dụng để các bạn có thể tham khảo và lựa chọn. 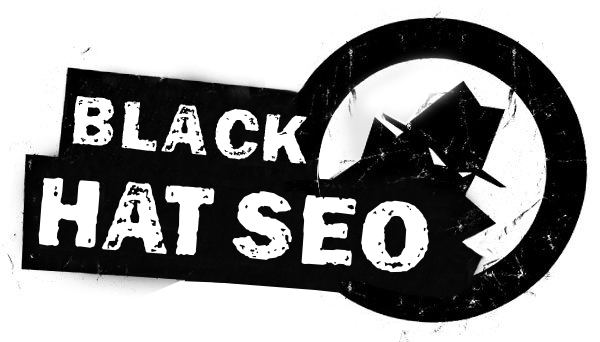 Black SEO tốt hay xấu ? Views offers the ability to expose filters to the end user so they may filter and sort through a views listing to find what they want in a large list of content.